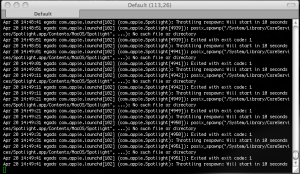 What the heck are you doing Spotlight? Anyone have any idea what’s happening here? I looked at “/System/Library/CoreServices/Spotlight.app/Contents/MacOS/Spotlight” and it has no size, so I’m guessing it’s leftover from something? Anyone have any insight? But if I browse to it in the Finder, I see Spotlight (I’m assuming that’s Spotlight.app) with a zero KB size. If I try to open it it says it’s not supported in this architecture. SOLVED! Kudos go to Justin for hooking me up with the full copy of Spotlight.app. 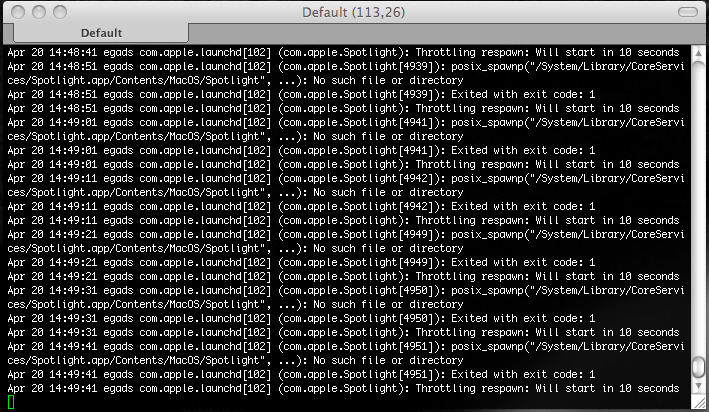 I backed up the old (apparently corrupt) one and the copied the new Spotlight.app from him into /System/Library/CoreServices. So far, so good and no more errors in system.log. Woohoo! Anyone that has talked to me about what I don’t like about OS X has heard me complain about the inability to maximize an application to take up the entire screen in one easy step. Sure you can drag the corner out, but that’s an annoying “work-around” in my opinion. 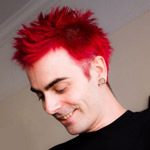 But thanks to Todd Dailey I have a more acceptable work-around for Firefox and Safari at least. 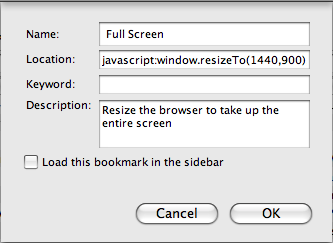 Of course you’ll want to set the values to the same size as your screen resolution. You can check your screen resolution in System Preferences -> Display. And on Safari you can make it even simpler if you make this bookmarklet the first one in the list. Then you can just hit Command+1 and have a full screen web browser instantly. This is also handy for web developers on all platforms. Want to see what your site looks like at 800×600, 1024×768, etc.? Make a toolbar button for each resolution! Quick and easy site previews while you’re working on pages. The night before heading out to New York I spent a few hours transferring files and setting up things so I could just bring my Macbook Pro instead of both the MBP and my work laptop. I was sitting on the couch, closed the laptop to do something, and then came back to open it up, expecting to see it pop right back up since I didn’t have hibernation turned on. I wanted my desktop full of running apps, but instead I got a blank grey screen. The light on the clasp would ocassionally blink three times as if to mock my anger. I shrugged and figured “oh well, I lost what I was working on, good thing I saved it.” I hit the power button to shut down and again to try to restart. No luck, just the same grey screen. The next 15-20 minutes were spent trying to control my anger and researching online to see what the heck could be going on. I found no definitive answer and eventually it just turned back on after it had been sitting for awhile. I chalked it up to overheating since you can almost fry bacon on my laptop when it’s being used. I continued working the rest of the evening with no problems and left it charging for the long plane flight ahead. The next day on the plane, I used the laptop, learning all about the ins and outs of “ant” (was happy to have it already installed) until the battery warning popped up. When I saw that, I smiled to myself and said “glad thing I bought that extra battery!” I closed the lid, dug the battery out of my backpack and swapped it out with the almost dead one. I opened the lid to the now familiar grey screen. I tried Cntrl+Command+Power button to reset several times, no luck. Tried closing it and letting it cool for 10minutes, no luck. Finally I gave up and stuffed the $3000 piece of crap back in my bag, wishing I had brought the Thinkpad instead. I have no idea what’s going on. There are no error messages, no sad macs, no weird sounds (I.e. Harddrive dying), nothing to even give me a hint as to what is going on. Did it fail to hibernate correctly even though the battery was low? Even so, a pull of the battery should have wiped things out and I’d be booting to a fresh OS. Is it bad RAM? If so, I would expect to at least see an error message. Anyone have any idea what’s going on? I called Apple Support, who were nice but couldn’t figure it out. The rep helped me even though I hadn’t registered my Apple Care yet. We went through some basic troubleshooting, i.e. turn it off, pull battery/plug, tried (and failed) to reset the PRAM (I think that’s what Command+Option+P+R was supposed to do), etc. No luck. Looks like I get to find the OS X cd when I get home and run some diagnostics he says. Either that or a trip to the Apple store. You can also download the source code and run it on your local machine to create a larger, higher resolution image that’s suitable for posters, t-shirts, coffee mugs, etc. 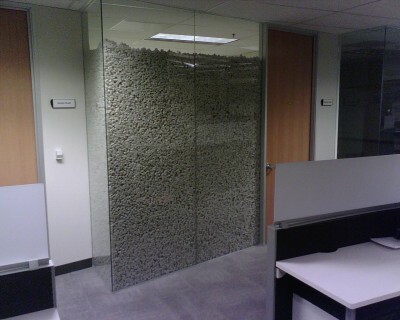 I’ve always wanted to do the packing peanuts prank at work, but it’s usually prohibitively expensive and time consuming. Then I came across this page. A quick trip to the UPS store to purchase 28 cu ft of biodegradable packing peanuts (cost: $65), office supply store for paper and tape ($12), and a few beers later we were quite successful. The difficult part was that the offices here have a glass corner, so we had to setup some boxes inside to hold the paper in place, but in the end I think it really adds to the effect. Our coworker explained his thoughts when he came in the next morning as: “Oh my… they didn’t? no, they couldn’t, it’d take to much.. no, no way…”. For added effect we locked his door so that he couldn’t immediately confirm that it was a fake front. All of the reaction, a fraction of the time and cost. I love a good April Fool’s prank. There are a whole series of pictures of the whole process here (my photos) and here (photos by Mike Morris). Credit must also be given to Cristian Mueller and Mike Morris for being a part of this. Seems like three people are perfect to pull this off.